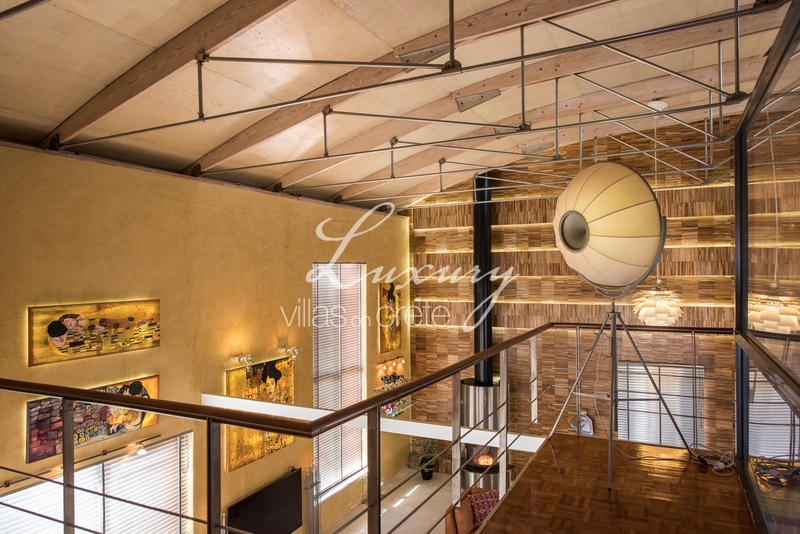 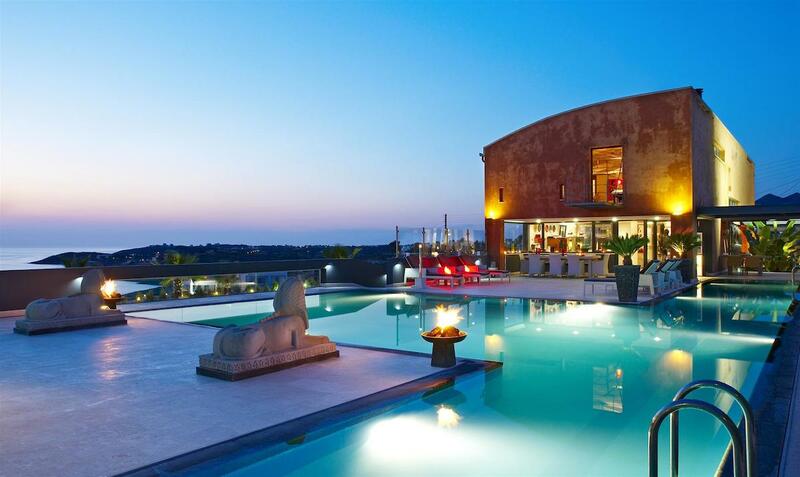 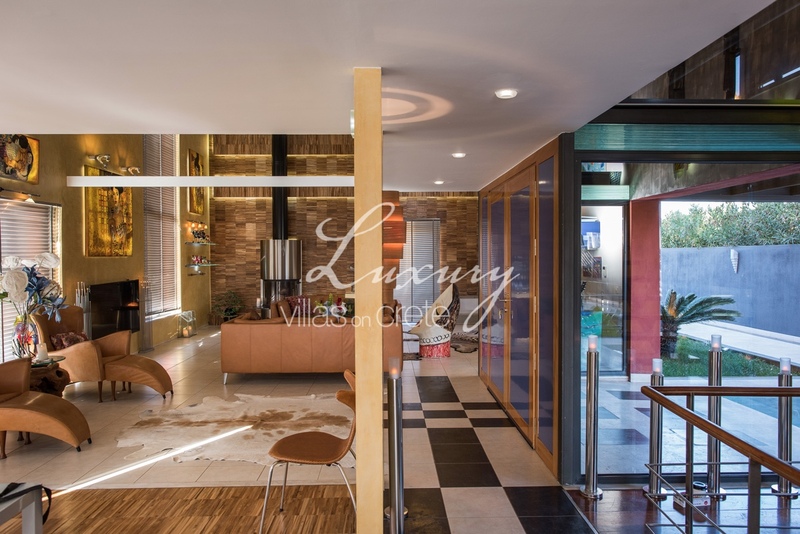 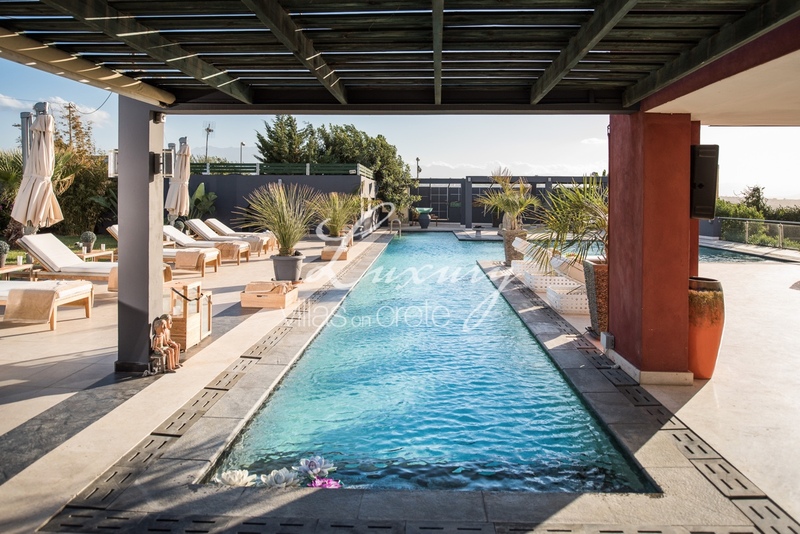 Unique luxurius villa with spectacular views. 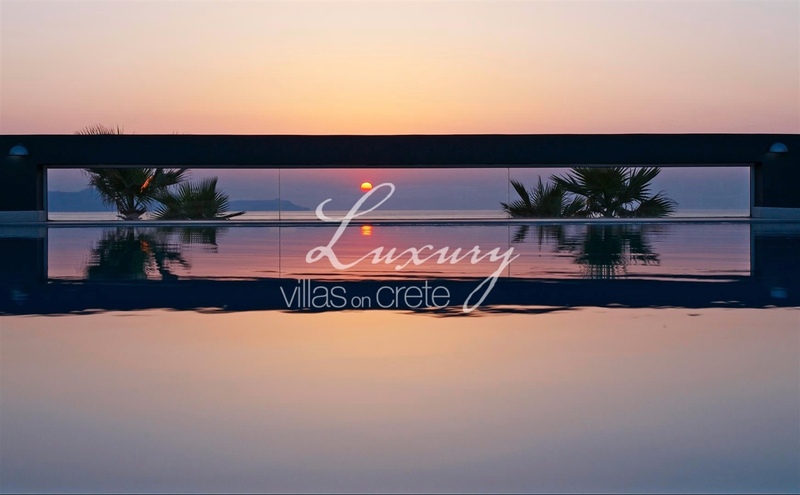 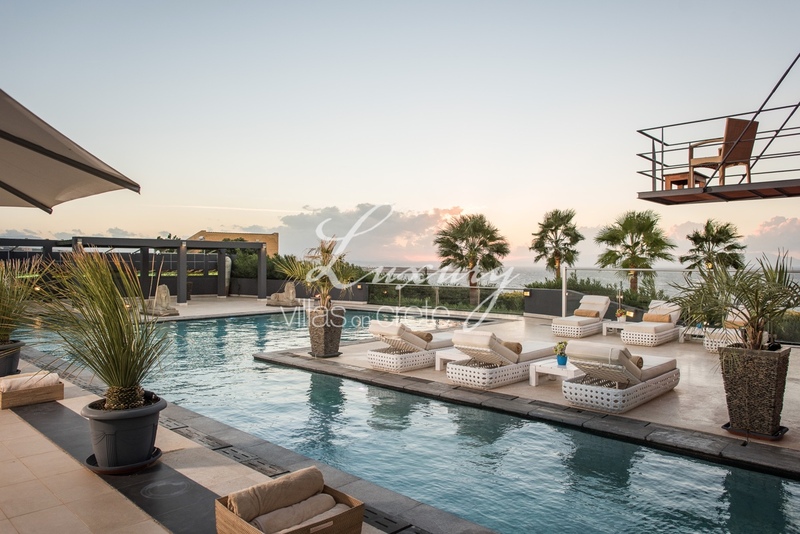 Villa Lene is a newly refurbished private luxury six bedroom villa with private pool and a panoramic sea view overlooking the bay of Kalathas with its fantastic sunsets. 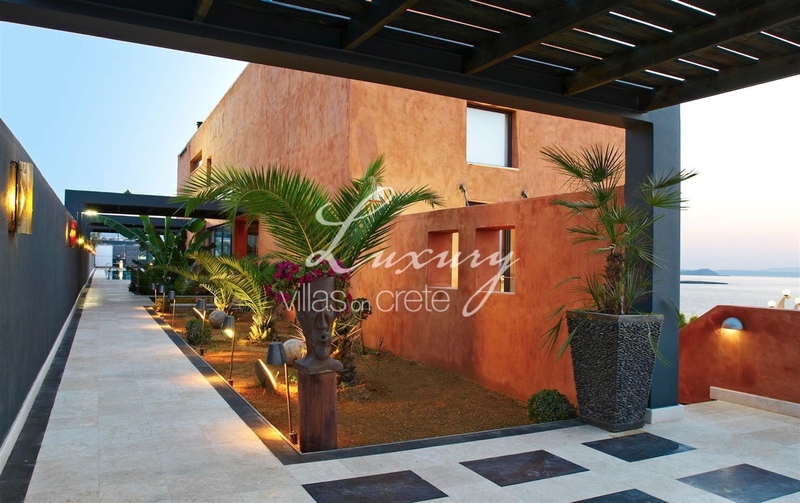 It is located within walking distance to the sandy beach of Kalathas. 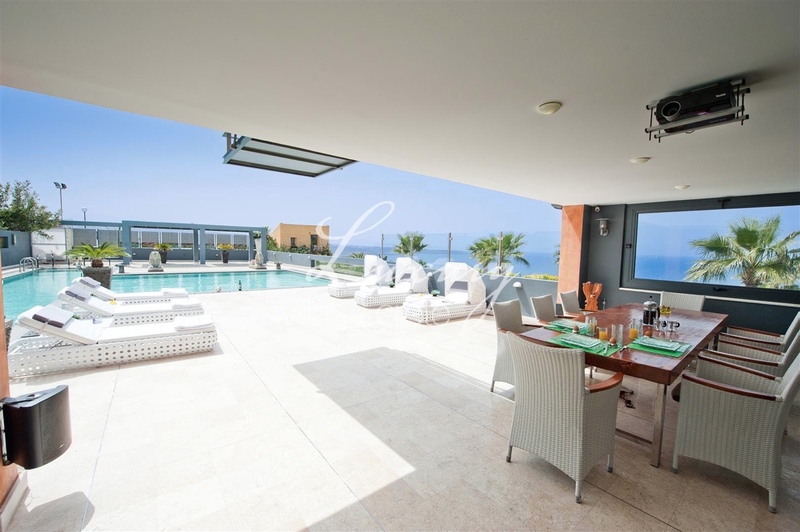 Set in its own 4000m2 plot high up on a hilltop. 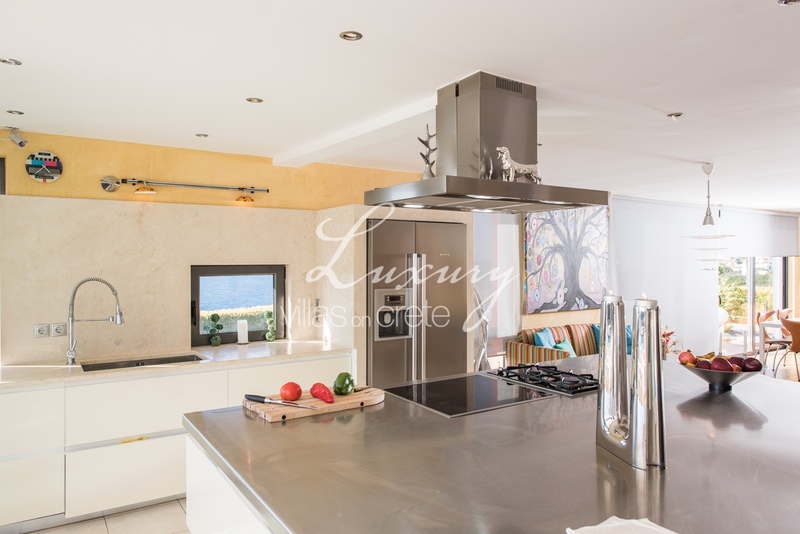 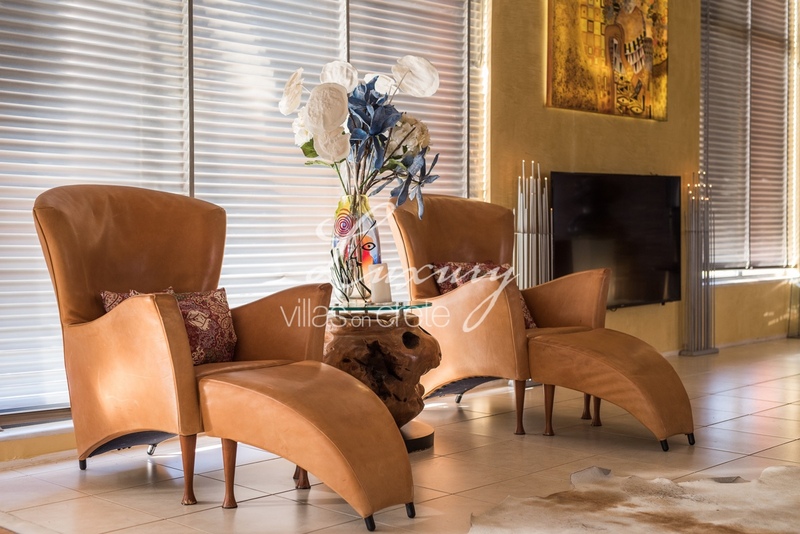 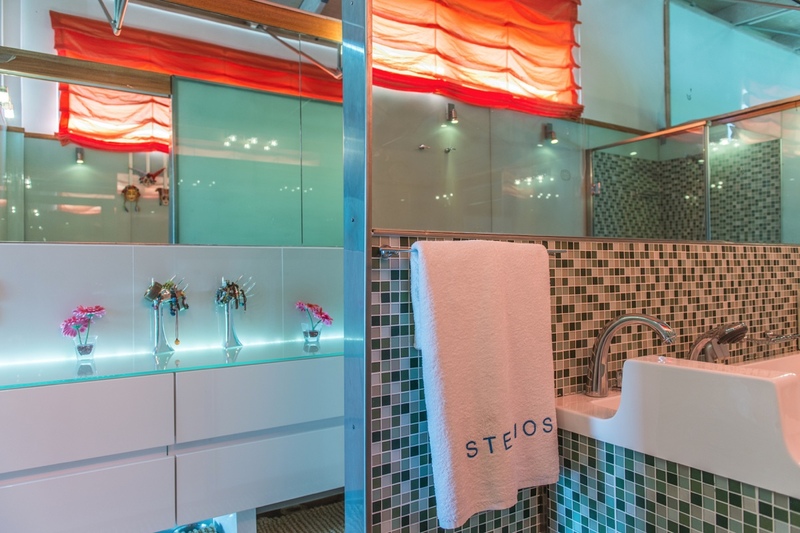 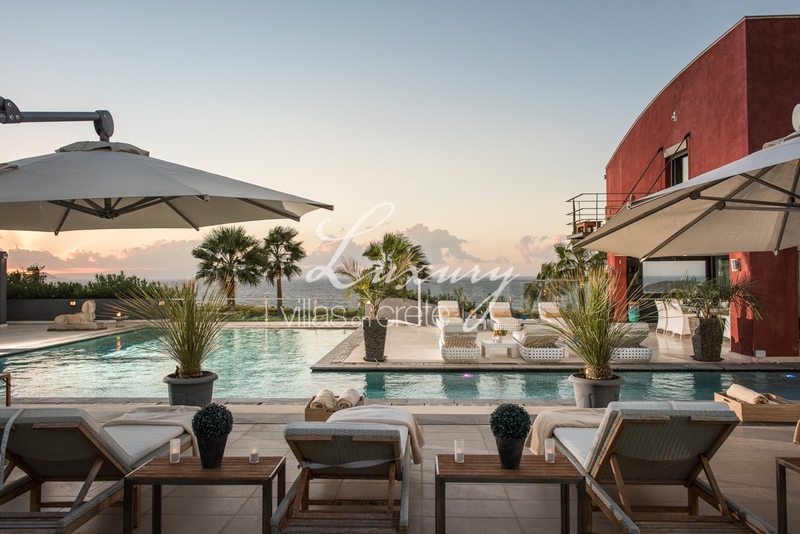 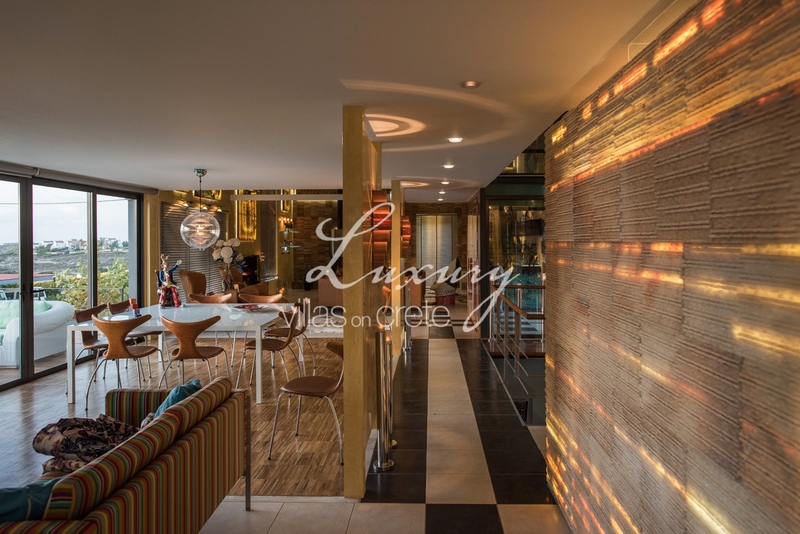 The villa is built on 3 floors, on the main floor there is a fully equipped modern kitchen including an American refrigerator, and a modern spacious open plan living and sitting area including a fireplace, here you will also find a guest toilet. 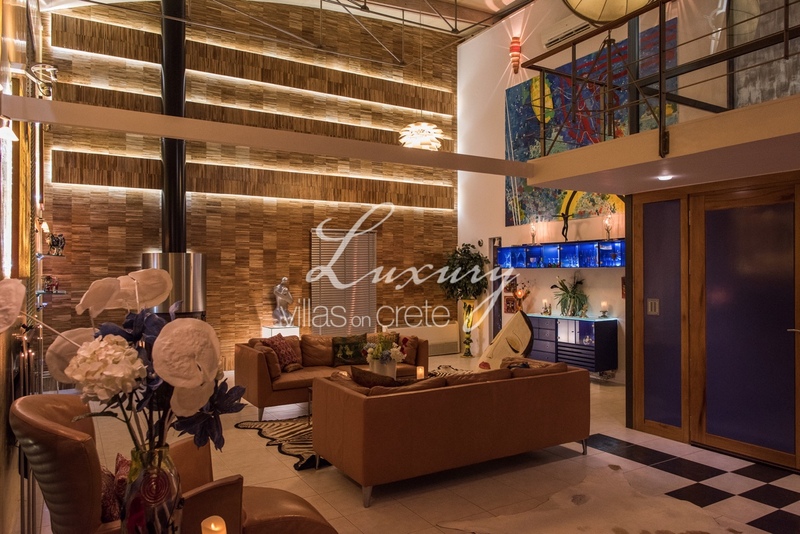 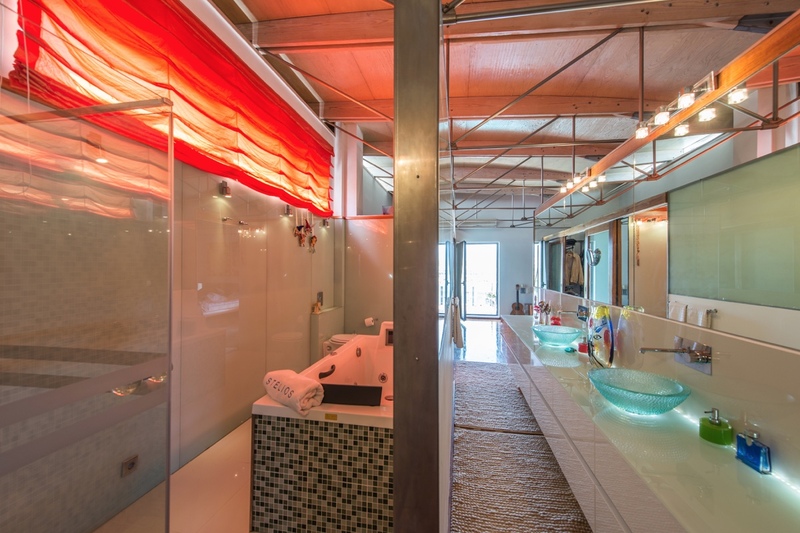 On the upper floor there is a 80m2 master bedroom which has an en-suite bathroom with a Jacuzzi as well as a separate shower. 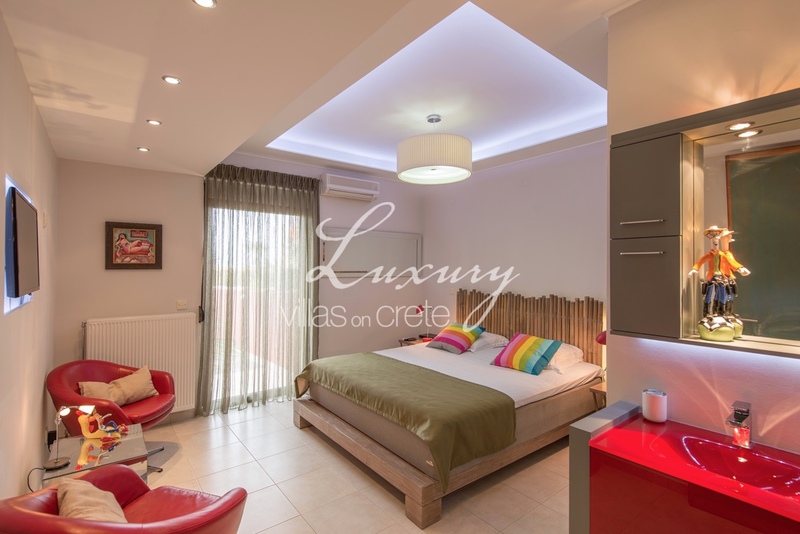 There is a newly built bedroom in connection to the master bedroom, ideal for younger children to sleep in. 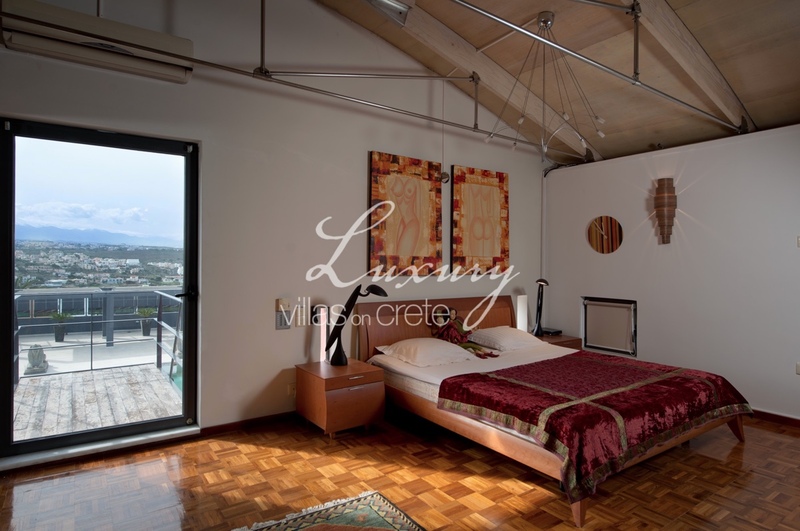 Both bedrooms have a separate entrance and there is a connecting door between them which can be locked. 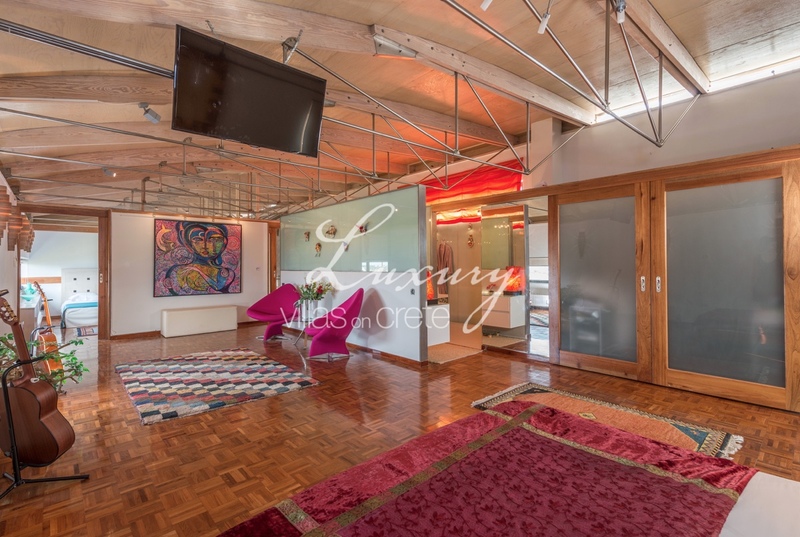 On the lower ground floor there are four bedrooms, three of them are double and the forth one is a twin. 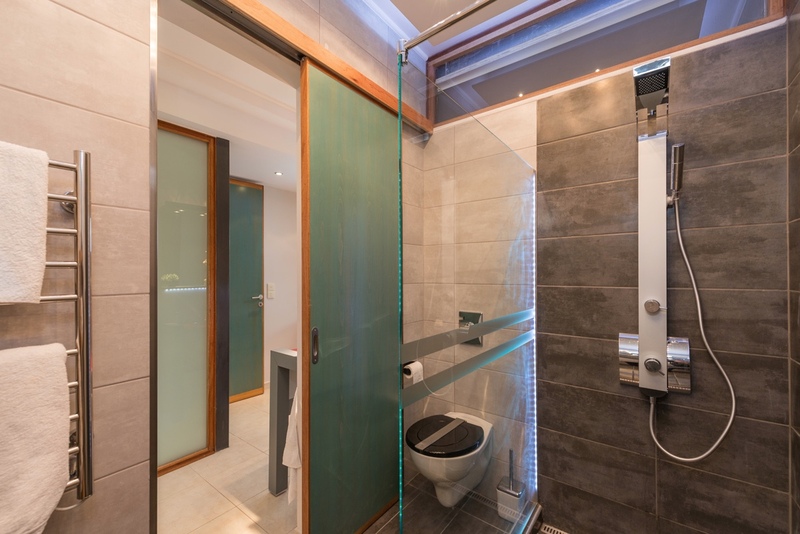 Two of the bedrooms are with en-suite bathrooms and there is another bathroom down the hall shared by the other two bedrooms. 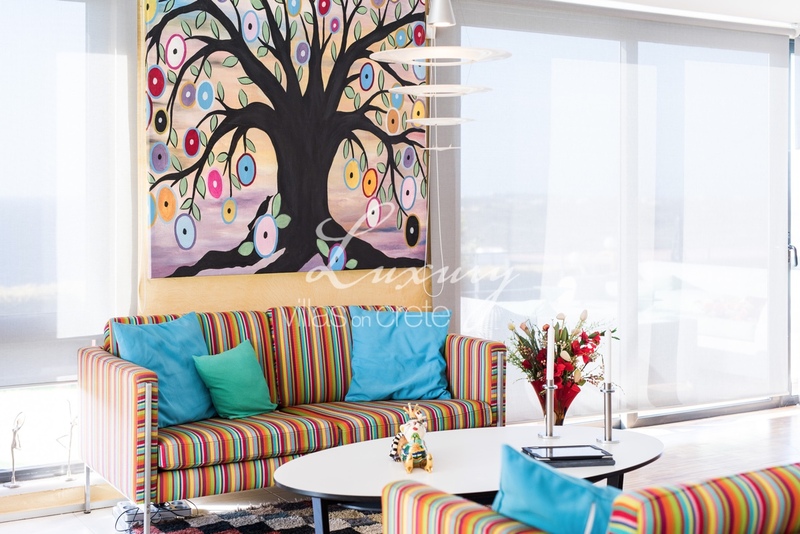 Cleaning is undertaken every other day, additional cleaning can be arranged against extra charge. 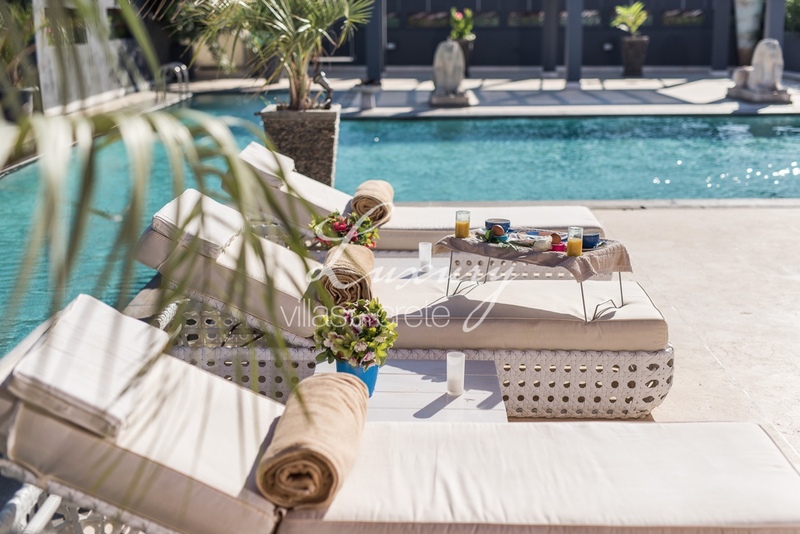 An extra weekly charge €220,- in low season, €315,- in mid season and €390- in high season applies for 1 additional guest. 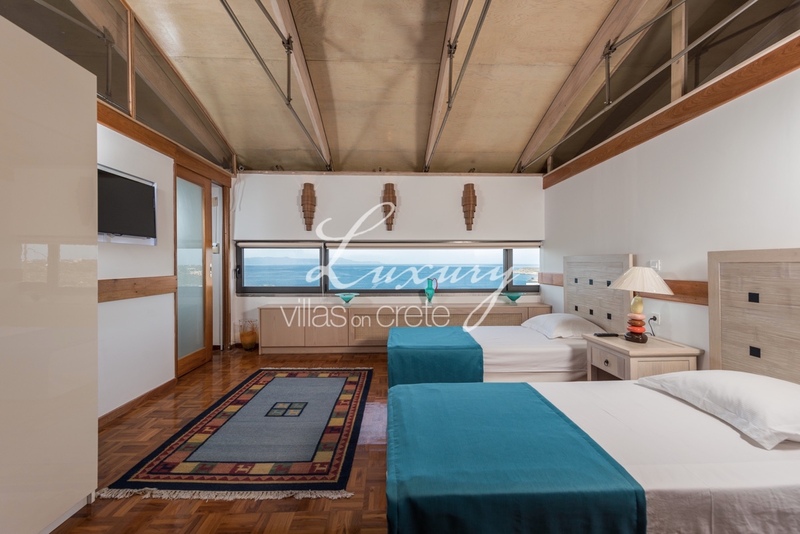 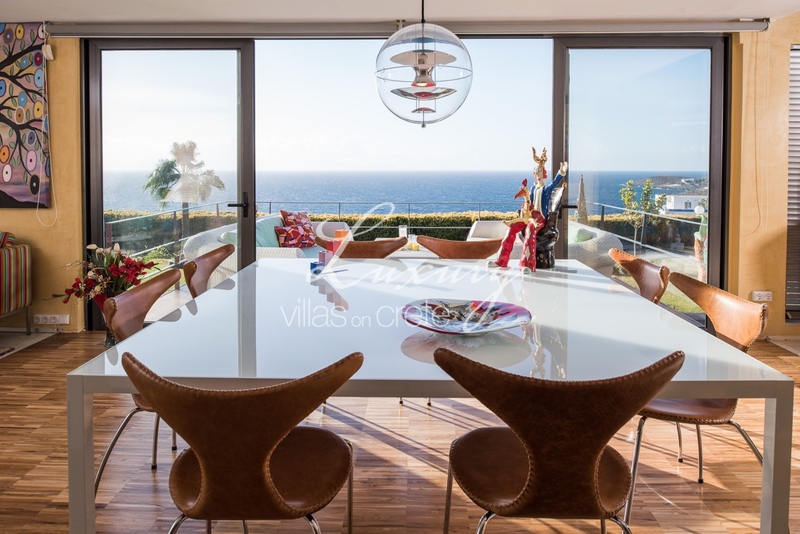 The villa is located on a hilltop with panoramic stunning sea views.